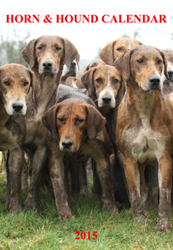 The 2015 Calendar features 12 images from packs in England, Ireland, the USA and France including the East Sussex & Romney Marsh, the Piedmont, the Stowe Beagles, the Rallye Passion and Rallye Alesia, the North Shropshire, the Border Counties, the Park Beagles and the North Tipperary. The A4 sized calendar, handy to keep by the 'phone in the kitchen, hall or office costs costs £8 including P & P. Payments can be made via Paypal. For purchases outside of the UK please e-mail with your order requirements for confirmation of prices as P&P rates will differ. 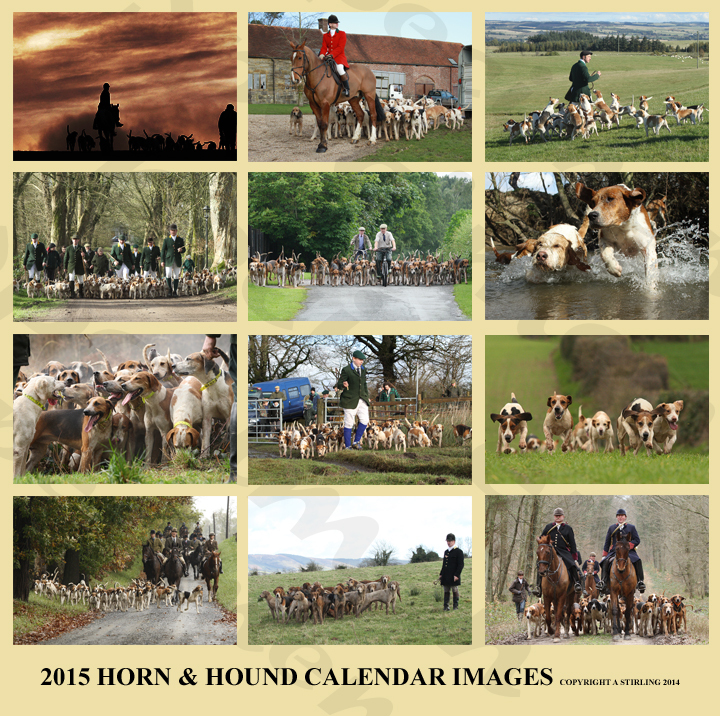 To order by post download a Calendar order form [MS Word]or Calendar Order Form [PDF] and send it with your payment to the address on the order form.